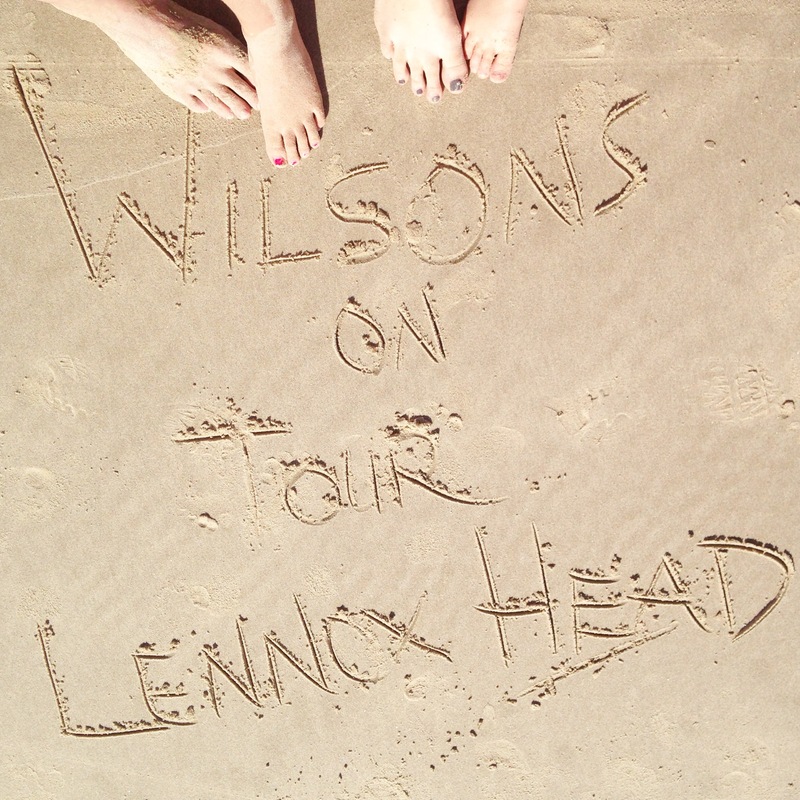 Lennox Head and Byron Bay seem like a long, lost distant memory from someone else’s life. It seems so long ago, that we were dragging the children out of the Big Banana gift shop, insisting that there were bigger, better things to come. I heard Poppy mutter to Monty… “What on earth could be bigger and better than the big banana?” If only we could all see the word through her eyes. Another three (ish) hours in the car was the first hurdle, but thanks to the DVD players and all the crap we had purchased in the gift shop, the children managed to keep themselves busy. Obviously they still found plenty of time for arguing, bickering and snarling at each other. We just turned the music up and left them to it in the back. Every now and again Tim would be rammed in the back of the neck by the inflatable banana, I just kept telling him to “breathe” and that seemed to take the edge off his anger. When Poppy and Monty were younger we used to do the “super travelling parent” thing. We would print out maps and laminate them, all ready for the journey’s we took. They “map read” through the lava fields of Iceland, and along the fjords of Norway. We made up quiz’s for them to do when we were walking through the streets of Hong Kong. We always had a fun ,”time filling” game for them. Now they’re both older and able to argue and irritate the hell out of everyone, we stick the blinds on the car windows and pray that they have enough DVD’s to last them the entire trip. We charge and charge and re charge our phones so as they have something to keep them quiet, if god forbid we need to stop somewhere for a caffiene break and it isn’t a Macca’s with a play area. Oh yes, my children will have square or I phone shaped eyes by the time they are 14, and an inability to entertain themselves without a screen. I did try to point out the odd Koala sign, or the big diggers on the journey to Lennox Head, but just got “ugh (irritated removal of headphones)…..Oh yeah” as a response, so I gave up, and stopped trying to make conversation. Thank you modern technology. So a few hours passed and we arrived at our sweet little cabin at the North Coast Holiday Park . I am still not sure about sleeping in a tent in Australia, just yet, so we compromised and booked a cabin, with a shower, a kitchen, and bunk beds for the children. Looking back now, I think I would have preferred the children be in a tent, and Tim and I in the cabin. They were up and down the bloody bunk bed ladder about 700 times before we had even unpacked the car. Can you imagine what bedtime was like? The campsite was perched on the banks of Lake Ainsworth ; a beautiful tea tree stained lake which apparently has healing powers. Suffice to say, despite the nippy temperature of the water, I managed to hop, skip, jump, shout at Monty for splashing me “before I was ready”, and finally submerge myself into the dark, mysterious water. So dark in fact that you had no idea what was lurking underneath the surface. Tim reassured me there was no way a crocodile would be hanging about in Lake Ainsworth. Well, when I say he “reassured” me, what I mean is he laughed, guffawed, chortled, winked at the kids, and then said “Crocodiles don’t live in lakes like this” as if I was completely mental. I almost wanted to be eaten by a crocodile just to prove a point. However after a little swim, and a wobble on the paddle board, I decided that crocodiles or not I was ready for a warm shower, and a teeny bit of me time. I got the shower, but not the me time, as they all decided to come back with me. We managed to fit in quite a lot over the five days we were away. Byron Bay is just filled with beautiful shops, great restaurants, happy people enjoying life, wonderful beaches, and the best Skate Boarding School in the world. Byron Bay Skate School is run by Flavio; whose huge infectious smile greets you before anything else. He is super cool, and incredibly enthusiastic about skateboarding. Flavio was like a local celebrity. The kids in the skate park all knew him and high fived him, and the mums came over to tell me how awesome a teacher he was. He is , without doubt the reason Poppy is now an avid boarder. She saw his passion, connected with him, and just went for it. She was doing the limbo on a skateboard within an hour. Monty wasn’t as keen, he fell off within two minutes and promptly headed for the swings. He was probably a little young, and a little bit of a party pooper. This was fine by Tim, as it meant he only had to purchase one skateboard that day. We headed to Nimbin on the second day. 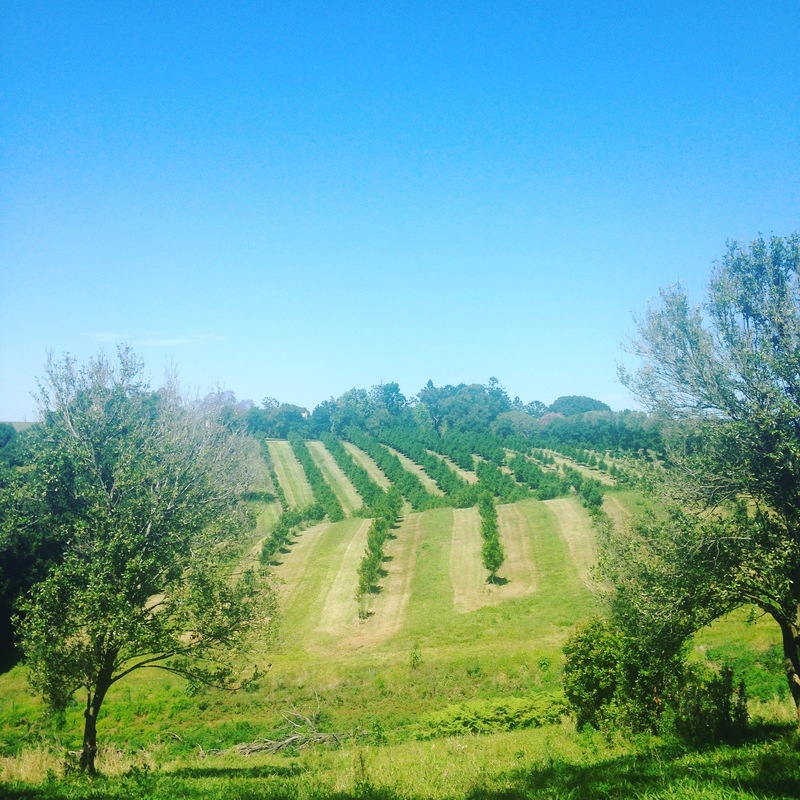 The drive from Byron to Nimbin is the most wonderful drive past field after field, filled with Macadamia trees. The farms seem to go on for miles. It’s truly stunning scenery. We stopped and bought some beautiful Macadamia nuts, and promptly gobbled the whole bag. Nimbin is ‘Australia’s most famous hippie destination and alternative lifestyle capital’. As you drive in you automatically start to feel chilled out. It’s a busy little town, with lots of cafes, galleries, and shops. The galleries were a mixture of awesome aboriginal art, and crazy cat lady art (in my humble opinion). I nearly convinced Tim to buy a beautiful painting by a local artist, but he reminded me of the very little space we had in the car with the banana and the two children. Damn them. Almost every gift shop in the town was selling the same thing; lots of incense sticks, beads, and tie dye outfits. We managed to go in nearly all of the shops despite not really wanting to get Monty a t-shirt emblazoned with “If You Puke, Faint or Die, it wasn’t the weed”. Nimbin is a great little place, we had an ace day, finished off with a swim in the local pool which the kids absolutely loved. Our final morning was an early start. I love those mornings when you have to be up at ‘crazy O’clock’ so you can wake the children. I almost look forward to waking them up so much that I barely sleep. The little buggers have woken me up almost every night of their little lives, so I bloody revel in the thought of standing by their beds, staring at them for a while, (that uncomfortable stare that kids do at your bedside in the night), then I just go, “Monty….. monty……..MONTYYY” and pull on his arm. YES! He’s up!! Then I begin again on the top bunk… Stare………..Stare…………….. “Poppy….Poppy…. 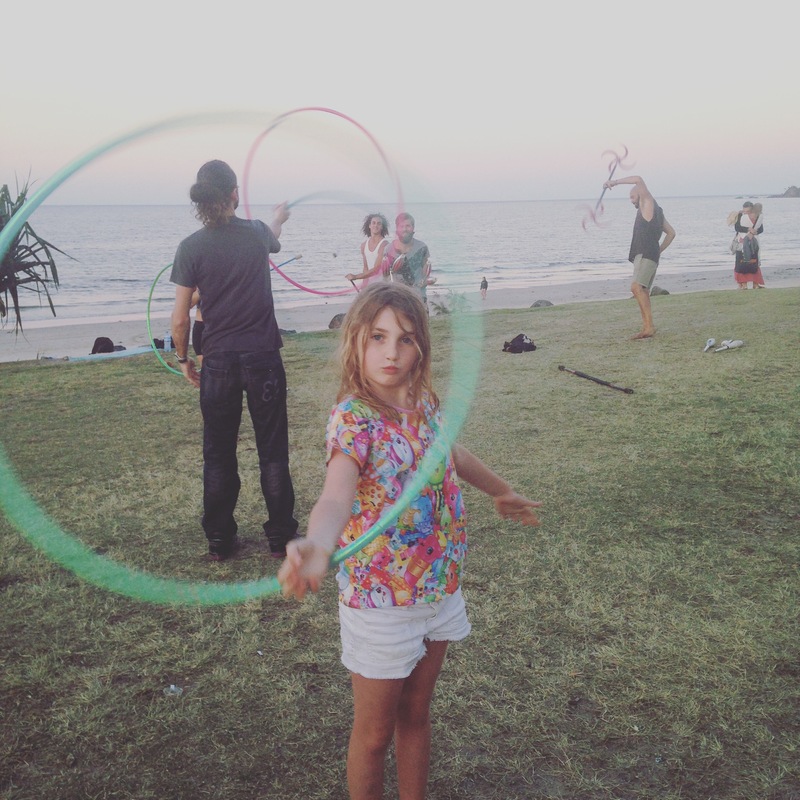 POPPYYYYY” Boom… Everyone’s up and we’re off to watch the sun rise over Cape Byron Lighthouse. 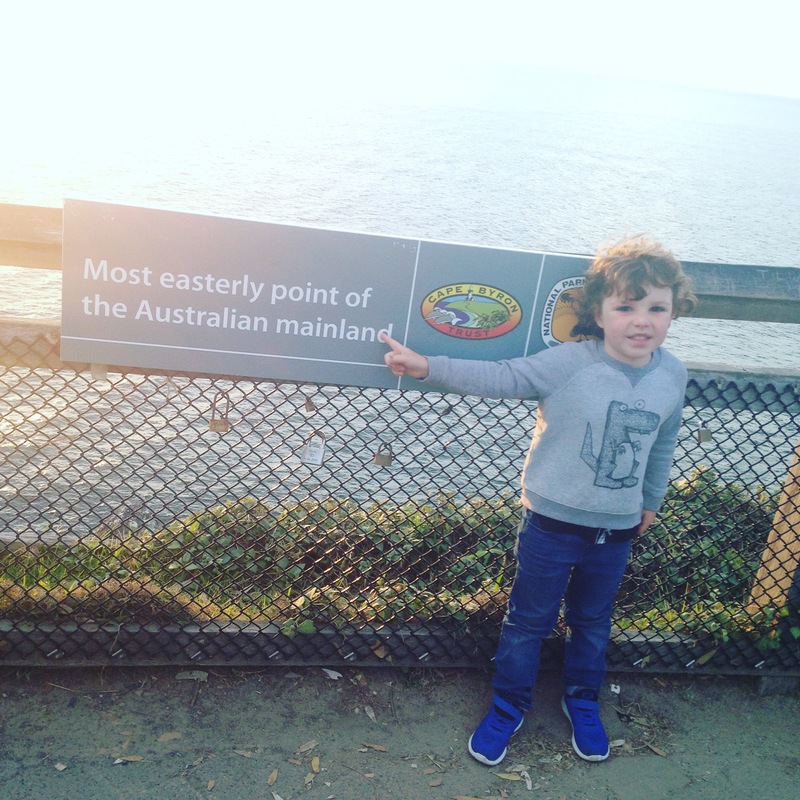 Once the sun had risen, we walked along the path to the most Easterly Point of Australia. Looking out we saw umpteen whales playing in the ocean. The children were wonder-struck by the huge tails smashing on the waters surface. It truly was magical. Their little eyes lit up every time they caught a glimpse of the spray. I really think they’d have been happy to stand there all day. I say that, but Monty did do a runner chasing a bunny rabbit toward to rocks. This was one of those “would I really jump down to save him?” moments. Luckily Tim managed to get a hold of him before he scurried off down the cliff. I carried on snapping selfies with Poppy. We headed off down the hill to the car, our journey back home to Sydney was underway. 775km to go and I really wanted to get a few beach stops in on the way. 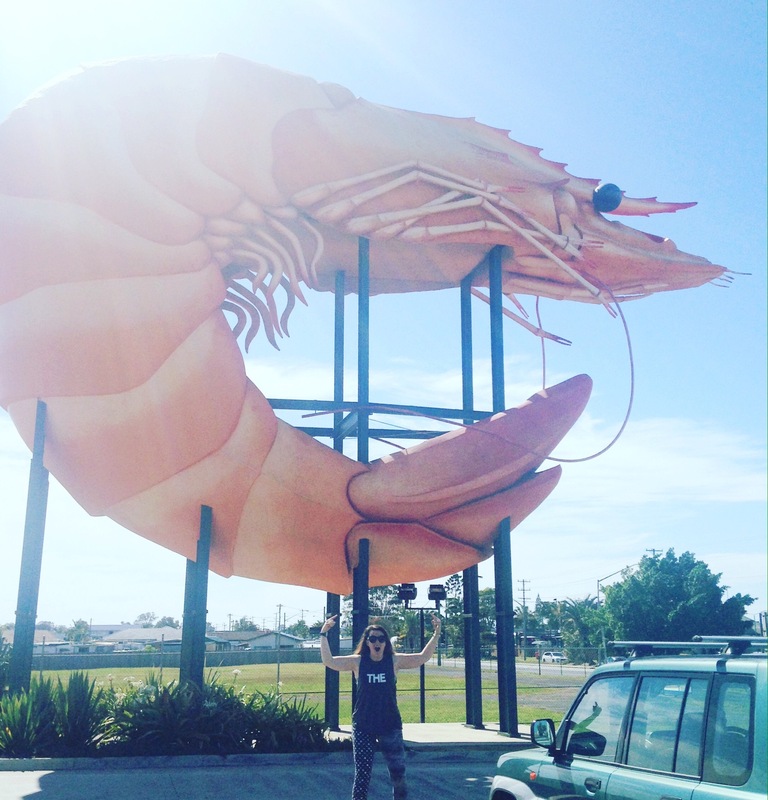 We only got as far as Ballina (27km) and I spotted ‘The Big Prawn’ so we had to stop and grab a photo. The children were far too engrossed in ‘ The Cat in the Hat’ to get out and join me, probably because the big prawn is in the Bunnings Warehouse car park, and you cant buy a 40ft inflatable prawn in there. Australia’s Big Things have become quite a treat on our journeys. If only the children thought so too. We drove through Macadamia farms, we ate beautiful seafood at The Balcony , we stayed up late to party with the ‘high’ travelling set who were doing circus tricks on the beach. 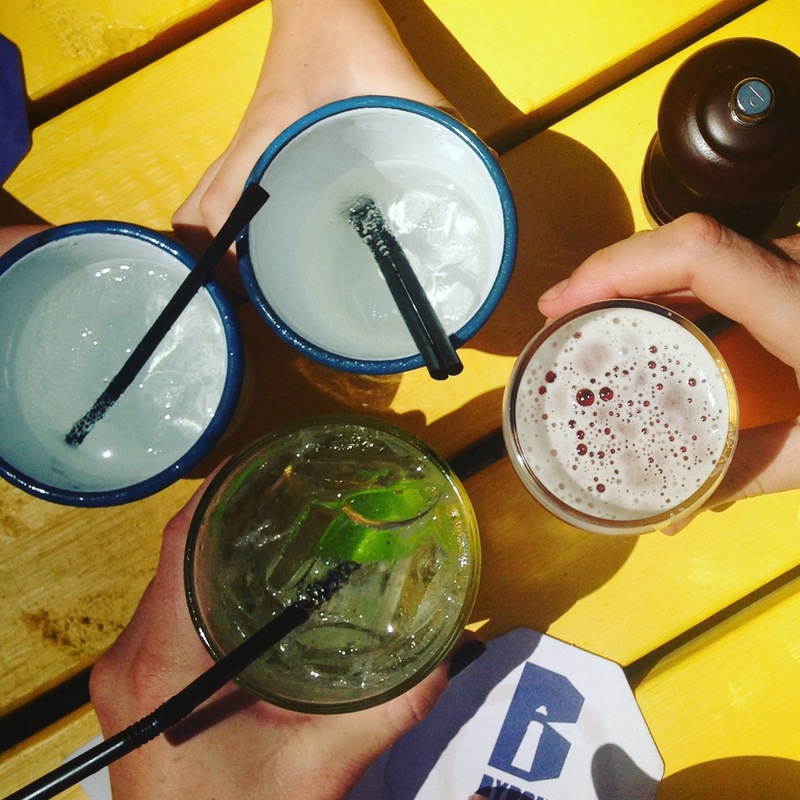 We drank beer at the Byron Bay Brewery , where we wished we had left the kids at home. 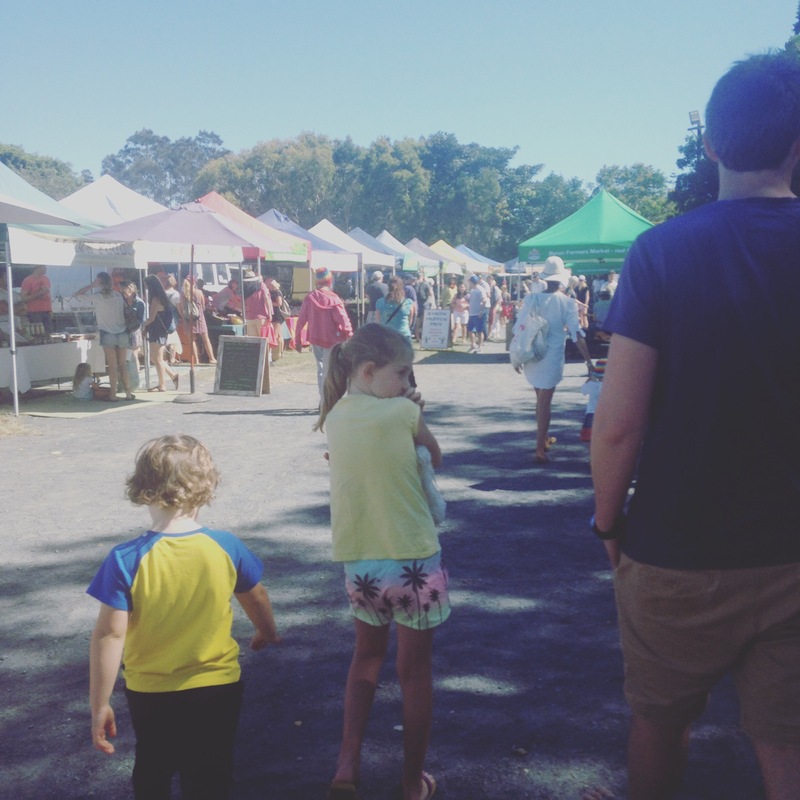 We watched the incredibly talented buskers really earning their money, we shopped at the markets, we immersed ourselves in everything ‘Byron’ and had the most magical time. I know I say this every time we go somewhere but….. We were genuinely sad to leave it all behind. That feeling of being free… We absolutely loved the trip. 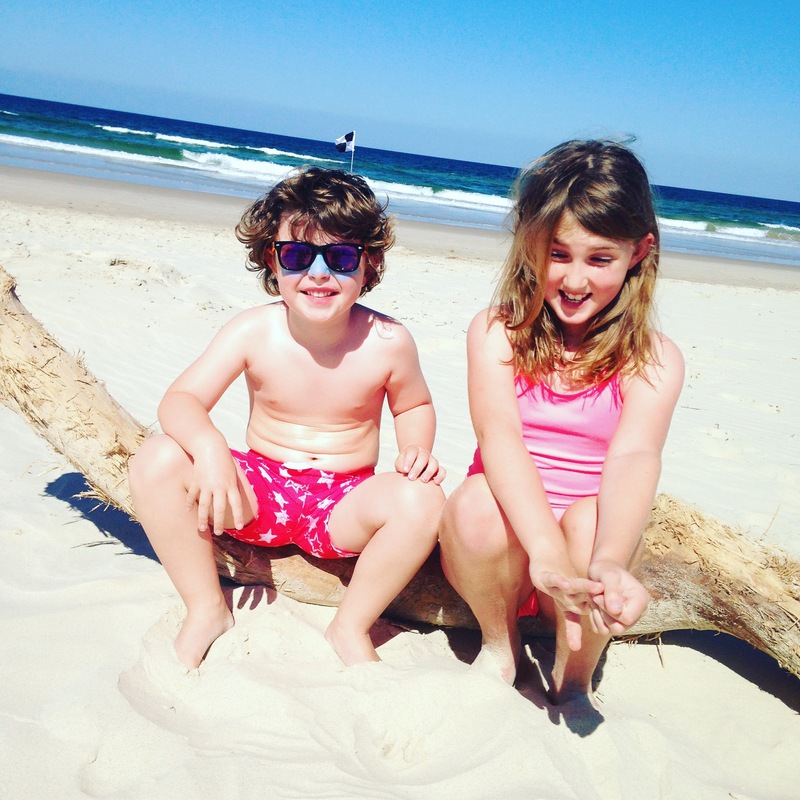 We loved the fresh air, the relaxed beachy lifestyle. We loved the bedtime stories on the beach, the ice creams on the rocks, the people watching, and the peace. Oh we did Byron, we did! Previous Make today so awesome, yesterday gets jealous…. Next To my girl, Life is either a daring adventure or nothing at all. Awesome blog once again Olivia, your dad was right you could write a autobiography about what has happened in the short space of time you have been there. Very very good keep them coming feel as if we are on the journey with all your family !! !